Welcome! Cassandra Hotel offers modern and tranquil accommodation in the center of Vancouver on the famous Kingsway. Only 5 minutes away by car from Metrotown - the largest shopping mall in British Columbia, this hotel is located on major bus routes and several minutes from nearest sky train station on foot. 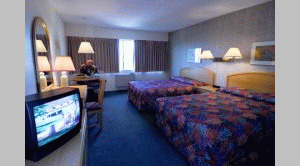 When you visit, expect spacious rooms and suites with comfortable beds. Take a relaxing dip in the whirlpool. Sweat out your stress in the sauna. Enjoy the comfort of in-room dining with fridge & microwave in every room. Reward your taste buds at dozens of western and ethnic restaurants around the hotel in renowned Collingwood neighborhood. The Cassandra Hotel Vancouver and Residences has 60 rooms and offers a casual, cozy and relaxing atmosphere. For the convenience of our hotel guests, some hotel rooms come with a small fridge and microwave. Our job is to ensure that your personal comfort is fully met. Our hotel offers all the amenities you need to conduct business away from your office, such as data ports for 56k modem, wireless Internet coverage, fax and photocopy machines. There is even a laundry facility with coin-operated washer and dryer for your convenience. Please visit Cassandra Hotel Website.